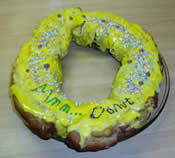 After the relative success of my über chocolate pretzel, I decided to create a pimped version of myself – a giant donut! 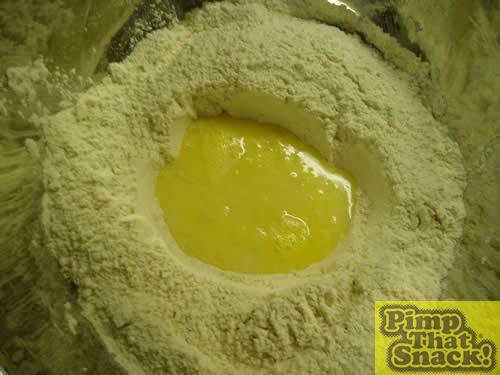 Mix the flour and yeast in a large bowl, and rub in butter to create a breadcrumb-like texture, and then add sugar. 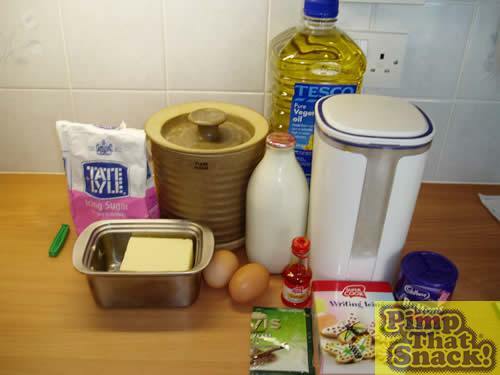 Add the eggs, milk and water and mix to a smooth dough. 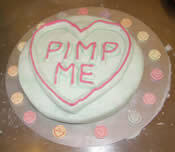 Knead the dough on a floured work surface. 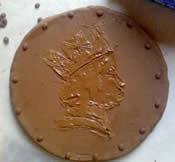 If the work surface is not floured, the dough will probably stick everywhere. And then it’s a pig to scrape off. 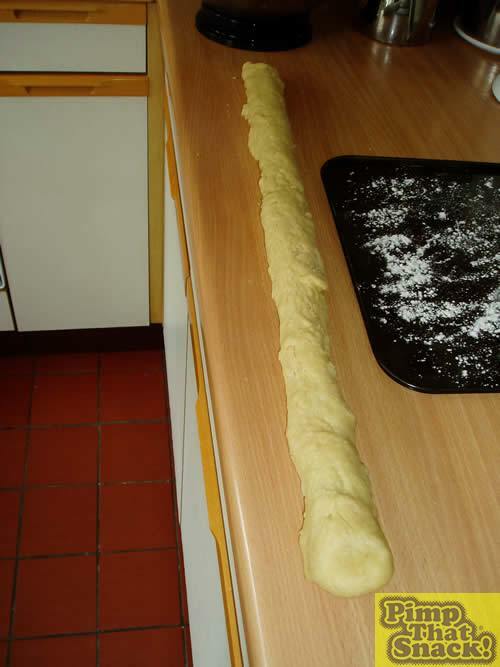 When the dough is nice and elastic (not literally elastic, it won’t hold your trousers up), stick it back in the bowl and cover with oily cling film and leave ‘til the yeast has worked and the dough is double in size. 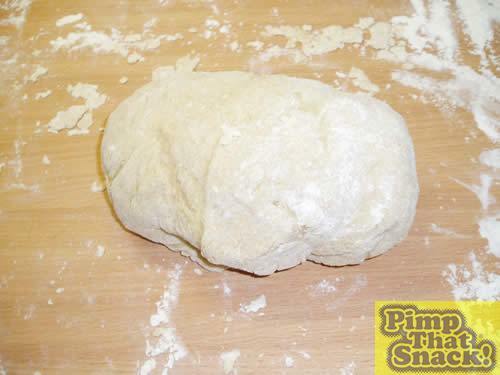 Plop the dough back onto the work surface, and knock out the air from the dough. 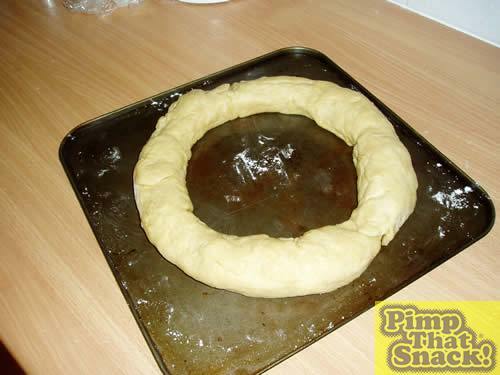 With a lot of difficulty, roll the dough into a long sausage shape, and join up the ends to form a ring shape.